Scottish Rugby chief executive Mark Dodson is sticking by his target of World Cup glory next year despite the side’s awful start to this season’s Six Nations. Dodson unveiled a four year plan in 2012 that involved winning both a Six Nations Grand Slam and the World Cup, with each of those targets looking a long way off given Scotland’s current form. “Of course it’s the target or else we wouldn’t have stated it in the first place,” Dodson told BBC Scotland. 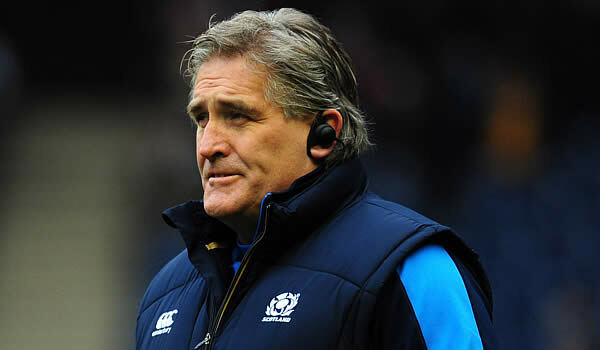 That 20-0 loss to England at Edinburgh’s Murrayfield ground led to Scotland coach Scott Johnson coming under huge fire, especially as the Australian coach tried to explain away the loss by citing the “naivety” of a team who were, on average, older and more experienced than their opponents. Former Scotland and British and Irish Lions forward Peter Wright labelled Johnson, who will give way for New Zealand’s Vern Cotter at the end of the season when he moves to become director of rugby, a “joker”. But Scotland scrum coach Massimo Cuttitta came to the beleaguered Johnson’s defence ahead of Saturday’s potential wooden spoon decider against Italy in Rome. “Scott’s doing a great job. From my point of view, he’s doing a hell of a good job,” Cuttitta told BBC Scotland. “He’s keeping the team really focused on our objectives. 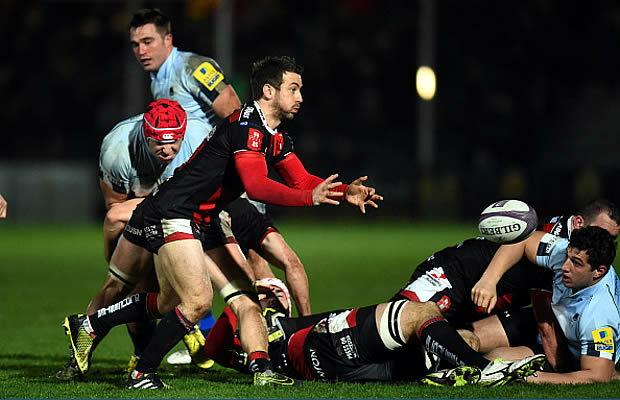 There were good things in the (England) game, some positives,” added Cuttitta, who as a prop won 69 caps for his native Italy. As for the criticism that has come the way of the Scotland coaching staff, Cuttitta said: “We just take it on the chin and work as hard as always to resolve the issues. “It’s been difficult, but let’s not forget that England are one of the best rugby teams in the world. “There were good things in the game. There were some positives. They were in our 22 at least 20 times and they only scored twice, so that’s something we did well. And turning to Dodson’s ambition for Scotland at next year’s World Cup in England, Cuttitta said: “The World Cup is a long way from now so we might not think that at the moment, but there’s still a long time to work, there’s good talent in the Scotland squad and I personally believe that this group can do something important. “Now, whether it’s winning the World Cup or achieving good performances or good wins from now onwards, I believe we’ve got a good group that we’re welding and we can do well.